NEW YORK (AP) — A New York lottery official says a winning ticket for the Mega Millions lottery jackpot worth $319 million has been sold at a variety store in Albany, N.Y.
New York Lottery spokeswoman Carolyn Hapeman says the winning jackpot ticket for Friday's drawing was sold at Coulson's News Center, located just a few blocks from the state Capitol. Hapeman says final sales numbers raised the annuity value of the prize to $319 million, with a cash value of $202.9 million. According to the Mega Millions website, the jackpot is the fifth-largest in the game's history. The biggest jackpot was $390 million in March 2007. It ranks as the largest jackpot for a single winning ticket in the game's history, eclipsing the $315 million prize sold in California in November 2005. Hapeman says the earliest the winner can claim the prize is Monday, because lottery offices are closed for the weekend. The winning numbers in Friday's drawing were: 22-24-31-52-54, with a Mega ball of 4. Hapeman says the holder of the winning jackpot ticket has the option of taking prize over 25 years or as a cash payout. The State Trail Worker Award recognizes an individual that has demonstrated outstanding contributions and provided consistent support for trail planning, development, or maintenance. It is intended to recognize the commitment and efforts of a private or public sector individual working for enhanced trail recreation in their local area/state. Eddie Walsh, a member of the New York-New Jersey Trail Conference (NYNJTC), has been assisting with trail development and maintenance since an early age. Over the years his passion for trails has led him to become a leader in both training volunteers in the various skills for trail development and coordinating the actual on the ground work. Eddie has been building trails professionally since 1993. Before founding Tahawus Trails LLC he was employed by many Northeast trail organizations including the NYNJTC, the Adirondack Mountain Club (ADK), Appalachian Mountain Club (AMC), Appalachian Trail Conservancy (ATC), Maine ATC, GMC and RMC. Within the NYNJTC, Eddie has also supervised the Twin Forts Steps Project, Popolopen Creek Bridge, Southfields furnace bridge, the Wappinger Greenway Trails Project, Closter Nature Center Trails project and the Echo Lake Handicap Accessible Trail Project and the Bear Mountain Trails Project. He has also taken on many private trail contracts. His true talent and personality is most exemplified with his efforts in the relocation/reconstruction of the Appalachian Trail (AT) at Bear Mountain State Park, the birth place of the AT. Over the years, the trail has experienced considerable use and sections have been realigned. Today, more than 100,000 hikers a year and day users traverse the section from the base of Bear Mountain to the top making it the highest use section of the AT. As a result, sections of the trail have been over utilized, resulting in erosion, widening of the trail and general degradation of the trail experience. In response to this, a 10 year effort through a partnership between the NYNJTC, ATC, Palisades Interstate Park Commission (PIPC), New York Office of Parks, Recreation and Historic Preservation (OPRHP) and the National Park Service (NPS) has been mounted to reconstruct and relocate sections of the AT for long-term sustainability and an improved trail experience. "The most unique and challenging aspect about the Bear Mountain Trails Project has been the regular commitment to keep novice trail volunteers involved given its long term and highly technical needs. The growing pains from year one have been substantial and Eddie has never waivered in his commitment to keep this incredibly challenging concept together. There were times when others on the project would desire to get rid of the volunteer component due to its strain on the patience. Every time criticisms arose regarding the volunteers Eddie defended the program and pushed forward. This was not done out of mere duty but because he really did and still does believe in welcoming people of all levels to this work that he loves so much. Basically, I have never known anyone else on the project to be as patient, welcoming and genuinely interested in our volunteers as Eddie is." ""I recall meeting Eddie on my first day two and a half years ago and making comment to someone at how humble he was; now that I have gotten to know him and understand just how talented he is, I am truly astonished at how humble he is. He is always open to others’ concepts and never dismisses another idea regardless of who it comes from. His approach to trail work is refreshing; it is not just a job but something he truly enjoys and that rubs off on everyone around him. I learned from his example, even on my toughest days out there, that our job as trail builders really is a great privilege. Every professional that has worked on the project has done an outstanding job and are really remarkable people in their own right, but Eddie has gone so far above the rest of us with his commitment it really is difficult to know where to start. I have regular memories of Eddie coming down the mountain with what seemed to me to be impossible amounts of tools strapped all over his body; of him not only being the first one at the project but the last to leave; of month long stretches where he simply did not take a day off. In fact, even on his days off, he would still be responding to my emails at 2 AM and returning my phone calls regularly, so it’s quite possible that Eddie has not taken a day off from this project since he started over 4 years ago. And some how he seems to never slow down or lose his spirit, a spirit that has really drawn every member of the Bear Mountain crew together. In short, I look up to Eddie immensely and am really proud to say that I work with him." It is through this level of commitment and working relationships with volunteers that makes the trail system a reality and quality experience for all trail users. Ed Koch was given a nice birthday present: The 59th St./Queensboro Bridge has been named after the former mayor. Fans of Ed Koch - including singer Paul Simon - were feeling groovy Wednesday about the city's decision to rechristen the 59th Street Bridge in honor of the former mayor. The folk legend, who named one of his hummable hits "The 59th Street Bridge Song (Feelin' Groovy)," even said he "could change the title to 'Feelin' Ed Koch.'" "It's up to Ed," Simon told the Daily News. Pedestrians at the base of the 7,500-foot span, which also goes by the name Queensboro Bridge, said the three-term mayor earned the honor. "I remember Mayor Koch from when I was a kid," said Grace Garcia, 30, of Middle Village, Queens. "He was a really good mayor, and I think he deserves it." Mayor Bloomberg made the announcement Wednesday during a 86th birthday celebration for Koch at Gracie Mansion. The change came the same week the Legislature voted to rename theBattery Park Tunnel in honor of Koch pal former Gov. Hugh Carey. Koch said Thursday he was honored that his name would grace the cantilevered span, noting that he has taken it "hundreds of times, if not more" to get to the Hamptons. But he recognized the name swap might not sink in with residents overnight. "I hope it will be sooner, but it will probably be 50 years before people refer to it that way," he said. "The only one that was effective immediately was JFK [Airport]," the former mayor added. "Robert Kennedy, I don't think I've ever heard anyone to refer to it other than as the Triborough [Bridge]." Some in Queens agreed the name change is confusing. "59th St. Bridge. Queensboro Bridge. How many names is it going to have?" asked Gary Garbino, 54, a Citibank manager in Long Island City, Queens. "People don't even know what to call it now. I'm old school, so I'll keep calling it the Queensboro." But New York 1 traffic reporter Jamie Shupak said she has never tripped up on air by referring to the RFK Bridge by its old name. And she said she won't mess up Koch's. "I never still say Triborough Bridge because, if I did, I might be fired, and that wouldn't be cool," she said. "Plus Bobby Kennedy was pretty cute, so I have no qualms about giving him credit every day during my Rail & Road Report." The cofounder of Microsoft talks energy, philanthropy, and management style. 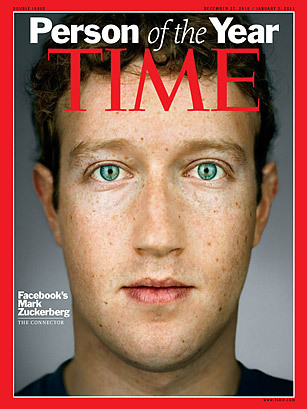 Jason Pontin, the editor in chief of Technology Review, spoke to the cofounder and chairman of Microsoft and the Bill and Melinda Gates Foundation at his offices in Kirkland, Washington, in July of 2010. This is the full transcript of their conversation. A version edited for brevity and focus on the subject of energy can be read here. TR: Explain the moral imperative behind "The Pledge" [in which Gates and Warren Buffett have asked America's 400 wealthiest individuals to pledge half their wealth to charity]. What will it achieve that conventional philanthropic giving cannot, besides raising a greater supply of money? Or is that the whole point? Gates: Well, I think the idea is pretty simple, and I wouldn't use the term "moral imperative." It's absolutely the case that the U.S. is the most generous country in terms of philanthropic giving. If you look at the large estates in the country, about 15 percent of the value goes to charitable causes, and there are more billionaires today, with more wealth on average, than ever before. And a lot of them may not know how much fun it is to get involved in giving, or know that it's kind of like starting a new career. And so we decided to create this group who had in common a pledge to give--not to all take one approach or pool money, but merely to find people who had things in common. How long should a foundation last, how do you staff, how do you involve your family? Different things will fit for different people. We did these dinners with some wealthy people, some of whom have done a lot of philanthropy, some of whom have done less. Another key factor is that the earlier in life you think about this stuff, the more opportunity there is for you to take your talent and get involved, or have associates that you know are talented through their work with you get involved. You're not going to do your best thinking about this if you wait until you're 92 years old and probably quite influenced by a small group who may have different thoughts. Starting earlier, giving earlier--that works. Those are the themes, and as this year goes on, hopefully we'll get more people to sign up, and we'll share that at various milestones. But so far we've had lot of good acceptances. We're not saying that. There will come a milestone, and we'll give people an update. We're going to have some more dinners, because that format worked very well. It's a very low-key thing--people who come to dinner don't necessarily decide to sign up, and we're not going to pressure them. But it's going pretty well. If it works reasonably well here in the U.S., a separate but similar thing will be done in China, and a separate but similar thing will be done in India. I'll pick people I know there. They'll get out in front and drive it. Giving in China isn't particularly well established, is it? Well, India's further along. China is just asking itself, "When you have billionaires, what are they expected to do?" In India, a lot of the tech billionaires are incredibly generous and are giving away the vast majority of what they've done. ... But we're very excited about what we learned at those dinners. We are smarter because of them. The Gates Foundation has invested in solutions to big problems like infectious diseases in poor countries. Providing clean energy for the nine billion people the planet will hold in 2050 is a problem that's equally civilizational in scale. What can philanthropy contribute to energy research? Well, basically not much. The energy market is an absolutely gigantic market, and the price of energy is a key determinant in improving lifestyles, whether for the rich, the middle-income, or the poorest. It seems slightly more intense for the poor: things like fertilizer and transport, or health care, are very expensive for them. You know, things like basic lighting are very expensive. But it's a big enough market that if you come up with cheap ways of making electricity, then that should be done with typical big-firm risk taking, small-firm risk taking. On the other hand, the way capitalism works is that it systematically underfunds innovation, because the innovators can't reap the full benefits. But there's actually a net benefit to society being more R&D-oriented. And that's why in health research, governments do fund R&D. You are a member of the American Energy Innovation Council, the AEIC, which calls for a national energy policy that would increase U.S. investment in energy research every year from $5 billion to $16 billion. I was stunned that the U.S. government invests so little. Yeah, particularly when you look at the DOE budget, and it looks so big--but the biggest part of that by far is dealing with the legacy of nuclear weapons production at various sites around the country. I was stunned myself. You know, the National Institutes of Health invest a bit more than $30 billion. The Gates Foundation is in that health area, and when we pick a disease to work on, we pick a disease where for some reason the market is not working. Like malaria: rich people don't need a malaria vaccine. They are rarely in malarial areas, and when they are, they can take prophylactic drugs and not worry about it. And yet for the people who live there, over a million a year, mostly kids in Africa, die. When we did our first $50 million grant for malaria, about a decade ago, we more than doubled the amount of money going into malaria research at the time. It's a horrific disease, but there's not a market reward for coming up with a malaria vaccine. So you made a market. Yes, you can create a market where there's no natural market. The biggest project, the one that's furthest along, is where GlaxoSmithKline is doing a vaccine called RTS,S, which is now in phase 3 [trials]. It's not a perfect vaccine. It reduces mortality a bit more than 50 percent. And then we're funding a lot of other things that aren't as far along that--either by themselves or in combination--would get us a perfect vaccine. There are some very novel ideas in the early stages. But to go back to your question, the reason we're involved is because there's not a market. And so our investment is mind-blowing compared to anything else. And you do have that in diseases of the poor world. You know, in the rich world, the percentage of people with AIDS is fairly small, and so the cost of treating people with drugs for a lifetime is affordable. It's not perfect for those people, it's not perfect financially, but the difficulties of coming up with a vaccine are such that there's not a market incentive for it. So an AIDS vaccine is another one that is being funded by a combination of government budgets and philanthropy. The two biggest funders by far are our foundation and the U.S., the part of the NIH involved. So why couldn't huge, regular, dependable investments from your foundation make a difference? In energy, we might have some involvement where it's connected to things that wouldn't happen for poor people otherwise. There may be some particular biomass approaches for getting local energy out where there's no roads and infrastructure-there might not be a market signal for that type of innovation. You know, the poor people are the ones who are going to suffer the most from climate change. It's unfortunately the poor people of the world who live in tropical zones, and there's a variety of reasons for that. But that's where agricultural productivity is already barely good enough for survival. Think of people in places like Ethiopia, Somalia, Sudan. There, climate change will clearly reduce productivity without some big innovation in the seeds and the approaches. But I've put money into Vinod Khosla's venture fund. I've put money into Nathan Myhrvold [and his Intellectual Ventures Fund]. Nathan has this thing that invents ideas broadly, many of which are energy-related. And some of those energy-related things will result in startups. One has so far: this amazing, wild nuclear [reactor design company], TerraPower. Let me ask the question more generally, then. If energy research is underfunded by at least $11 billion according to the AEIC, what is a better approach to funding new energy technologies? Or is this one of these problems that will require a variety of approaches--traditional, academic, agency, VC, corporate--because it's so big a problem that it requires the cooperation of everyone involved? Well, yeah. I mean, you need cooperation, you need independent inventors, you need everything. It's not a problem that lends itself to a Manhattan Project-type approach. It has to be low cost and usable in different circumstances. You can't just get a bunch of smart people together and know which path you should go off and pursue. It's amazing that that worked for the Manhattan Project. It worked because it had a very specific end: they wanted to build the biggest bomb in the world and end the war. They knew what they wanted to do. I guess in a vague sense we can say that we want energy that costs, say, a quarter of what coal or electricity does and emits zero CO2. We can write that down. But there's many paths to get there, each of which a realist would look at and say, "Wow, there's a lot of difficult things along that path." So I think it's very important, both to give poor people cheap energy and to avoid hugely negative climate change, that the U.S. government and other governments fund basic research. But unfortunately, when the U.S. doesn't step up on basic research, the world at large doesn't tend to step up and fill the gap. I wish they would, but they don't. The irony is that if you actually look at the amount of money that's been spent on feed-in tariffs and you properly account for it--tax credits, feed-in credits in Spain, solar photovoltaic stuff in Germany--the world has spent a massive amount of money which, in terms of creating both jobs and knowledge, would have been far better spent on energy research. But it kind of shows up as "Okay, I'm paying a little more for electricity," which is a very complex, opaque thing. Where you're mixing in low-cost hydro sources or things that have been fully depreciated with new things that are very expensive, it's very complicated; when people are actually subsidizing some deployment, they don't see it as much. Whereas if you say "Okay, we need to raise a tax to fund the R&D," that's more explicit. I was stunned, when I did the work with the AEIC, to see that if you wanted the U.S. energy industry as a whole to fund this R&D, you'd only have to tax energy 1 percent. That is, the amount of tax you'd need to fund the R&D is an order of magnitude less than the amount you'd need to increase the price of energy in order to start to have a strong price signal in terms of efficiency and tradeoffs in new power plants. The tradeoffs in new power plants you can do through regulation--just say, "Hey, you have to retire CO2-intensive plants at various dates, and you have to replace them with ones that meet various CO2 standards." So that actually creates a market, in the sense that people have to buy those things. But it'd take a very small tax to fund even a significant level of R&D increase. And that's using the term "R&D" very broadly, because in that $16 billion total that the AEIC called for, we had several things that are about pilot-plant deployment and financing. About one-third of it was not in traditional R&D. In energy we need to do the basic research. It's materials science, it's modeling, it's storage, there's a lot of things. It is disappointing that some people have painted this problem as easy to solve. There are actually two articles in Scientific American where they allowed the author to say, "Oh, this is easy. Just go do a bunch of compressed air and sun," or "Just go do a mix of things and it's easy." It's not easy, and it's bad for society if we think it is easy, because then funding for R&D doesn't happen. If it was going to be easy, then that money really wouldn't be necessary. But in my view it's very necessary, and that's despite the fact that if you take the innovation economy in the U.S., broadly defined, now versus 10 years ago, there's a lot more energy activity. There's many examples of that. You've got Silicon Valley, with people like [venture capital firm] Perkins. Vinod Khosla [of Khosla Ventures] was into it early and he's got an amazing portfolio, but now there are many others doing it. You've talked about the need for "energy miracles." But we've been waiting for such breakthroughs for decades. TerraPower is a traveling-wave reactor, a design that dates back to the 1950s. We've been working on energy miracles--and we've seen nothing. Wouldn't we be better off making the energy technologies we have more efficient? Well, no, we haven't been working on those things. The nuclear industry was effectively shut down in the late '70s. And so evolutionary improvements on those so-called Gen 3 designs really didn't happen. And more radical designs that were measured according to their economics didn't happen. There's a lot of paper designs under the heading Gen 4, but most of those are going to be very, very expensive. They're kind of cool science, but they're very, very expensive. But let me get back to the main thrust of your question. The CO2 problem is simple. Any amount you emit causes warming, because there's about a 20 percent fraction that stays for over 10,000 years. That's the way the ocean equilibrates with the air on this planet. So the problem is to get essentially to zero CO2 emissions. And that's a very hard problem, because you have sources like agriculture, rice, cows, that are single-point sources out with the poorest people. So you better get the big sources: you better get rich-world transport, rich-world electricity, and so on to get anywhere near your goal. And so when people say, "Shouldn't we do X or Y or Z?" --well, if X or Y or Z gets you a 20 percent reduction, then you've just got the planet, what, another three years? Congratulations! I mean, is that what we have in mind: to delay Armageddon for three years? Is that really it? A 20 percent reduction is interesting, and it's on the way to a 40, 60, 80 percent reduction, but most things that are low-hanging fruit are not scalable. The U.S. uses, per person, over twice as much energy as most other rich countries. (Put Canada and Australia aside, because they are almost as bad as us.) And so it's easy to say we should cut energy use by building better buildings and higher MPG and all sorts of things. But even in the most optimistic case, if the U.S. is cutting its energy intensity by a factor of two, to get to European or Japanese levels, the amount of increased energy needed by poor people during that time frame will mean that there's never going to be a year when the world uses less energy. In other words, there is absolutely no hope if you just say the world should use less energy. The only hope is less CO2 per unit of energy. It may feel good for people to use less energy, and they should--if individually they can delay Armageddon for about one microsecond, everybody should do that--but you ought to save the political will and the money to make sure you're doing the thing that really has a chance of solving the problem, and that's CO2 intensity. And no, there is no existing technology that at anywhere near economic levels gives us electricity with zero CO2. Then what kinds of energy miracles do we need? You know, take wind: it's actually not that far from economical when it makes up the last 20 percent of the energy supply. But almost everything called renewable is intermittent. I also have another term for it: "energy farming." The density is very low. We have no idea how to take those intermittent sources up to 50, 80, 90 percent. You can see this in microcosm in the Texas grid. When wind was like 2 percent, they would let the wind guys bid low and then fail to deliver, with no penalty. Well, now wind is up to about 8 percent of the Texas grid. And so the guys who are maintaining the standby power, which is mostly natural gas, are saying, "Hey, when the wind guys fail, shouldn't they pay at least a penalty? Because most times they don't fail, and yet we've always had to maintain this backup for them." It just points up that without a storage miracle, you cannot take intermittent sources up to large numbers. In fact, not only do you need a storage miracle, you need a transmission miracle, because the intermittent sources are not available in an efficient form in all locations. Now, energy factories, which are hydrocarbon and nuclear energy--those things are nice. Well, they have some nice things and some not-nice things. You can put a roof on them if you get bad weather: most coal plants have been built to withstand the 20-year hurricane. But energy farming? Good luck to you! Hail, wind, dust--what is your lifetime? Energy factories can be anywhere. They can withstand tough conditions. Unfortunately, conventional energy factories emit CO2, and that is a very tough problem to solve, and there's a huge disincentive to do research on it. People are willing, but until society decides that the government's willing to certify storage locations and take the long-term risk and do the monitoring of trillions of cubic feet of CO2, it can't happen. The complexity of managing, say, 50 years of U.S. carbon emissions--it makes Yucca Mountain look like the most trivial exercise ever contemplated. I happen to think that if you have the political will, the technical problems could be solved. Will you and Nathan Myhrvold really build a traveling-wave reactor of TerraPower's design? And if so, where and when? We're in discussions with basically everybody in the nuclear industry and every country involved. And no, TerraPower itself will not raise the money to build the reactor. We will partner with some mix of sovereign and private actors to get TP1, which is what we call our first reactor, and our dream--which is very ambitious and may not be achieved--is to build that by 2020. It's more likely to be built in Asia than in North America or Europe. Well, China's the most obvious one, and we're certainly talking to them. It's not clear enough at this stage that we'd put all of our eggs in one basket. They're building over half the reactors, and they build them very quickly. It would be a great place if they chose to. They're building an extraordinary number of reactors. Well, understand the Chinese strategy. They have two strategies. One is to pick a Gen 3 design and build a lot of them and get the price down and get really good at that. The other is to pick very few more radical designs and build some of those now so that they're ready in the 2020 time frame, when a radical design may have better economics and better strategic benefits. In our case, infinite fuel is one of the benefits [a traveling-wave reactor can make its own fuel from nonfissile waste material]. But we also claim to have better economics than a Gen 3 reactor. A lot of reactors are designed without thinking about economics, and because we have higher temperatures and we get so much heat through our core, on paper--which is where we exist--we have better economics. Why were the first three generations of reactor designs so uneconomical? They weren't uneconomical. If you take how much was spent on Gen 1 and Gen 2 reactors and look at how much power was turned out of those things, those are the deal of the century. You can only beat it with hydro. And for the guys like the French that wound up owning one of those things, the lifetimes were increased and are still being increased. They used to run them at like a 70 percent duty cycle. They have them up to around a 95 or 96 percent duty cycle. The price of uranium did not spike. Gen 1 and Gen 2 were the bargain of the century. Now Gen 3, because of all sorts of safety requirements and permit delays and various things, has proved very uneconomical, at least in Finland. But the statistic I love is that per atom you're almost a million times better off than with hydrocarbons. It's very far out. It definitely needs to be categorized as a high-risk, wild thing, but the world only needs a few wild things to succeed to have two major benefits: cheaper energy, which the poor dearly need and would benefit everyone, and zero-emission energy. So it's great, but as I say, you've got to get the pilot plant built, which is hard. You've got to have all the science and economics work the way they work on paper. And then you've got to get the manufacturers involved. And the numbers are pretty daunting, even in the Chinese electricity picture. Even though they're building about half the nuclear plants and are going to move full speed ahead, they're at 3 percent nuclear right now. Unless something that's way better than they expect comes along, they won't get to more than 15 or 20 percent nuclear. You've said that nuclear has the best chance of being an energy miracle. Well, it's the one I've gotten involved in. I spend time at TerraPower. We've got a TerraPower phone call with partners today; I was over there on Monday. It's a neat group of people, so I've gotten more personally involved. I don't claim to be the person who's surveyed all the possibilities better than anyone else. But I think solar thermal has a lot of promise, whether it's [the California-based company] eSolar or dozens of other guys. Solar chemical: some people see the possibilities at the research level. The algae guys: I've actually got some money in some of those. That's energy farming. That's hard. But they're seeing some results. Then there are crazy things like these high-wind kite guys. There's a lot of energy out there. You really don't want to rule anything out. If you'd said to somebody in 1890, "How are you going to solve the manure problem?" I don't think they would have actually foreseen, "Well, we're going to do it by creating this CO2 problem." Let's talk about poverty. What is the minimum amount of energy that a person in a developing country should have access to for a reasonable standard of living? Well, a level that's about half of current European usage, which is a quarter of current U.S. usage. The room for efficiency--I'm saying it's probably a factor of four. And then I'm saying the rest of the world should be allowed to live at that energy level. Now, the aggregate energy therefore for nine billion people, which is about what the peak population is expected to be, is dramatically greater than what we have today, and that's why when you multiply that big E by the CO2 per E, that number better be pretty damn small, because you're not just trying to stay where you are today; you're trying to get 90 percent down from where you are today. So wow, that number has got to be approaching zero. How much money should we spend to rebuild the social structures damaged by infectious diseases, by HIV and AIDS? You know, we've got to stop the epidemic, and because we don't have a cure, we've got to treat as many people as we can. I think in general when you help these societies, it's not really specific to the AIDS epidemic. I mean, South Africa, they have made progress with their poor people. They still have so far to go. It's not clear that the pathologies of the AIDS epidemic make your agenda for the poor people in South Africa different. The South African school system's not very good. The electricity grid is really bad. They got dreamy thinking about some things coming on, they've got these huge power shortages, which is kind of ironic because they've got lots of coal. Now they have to raise power rates. That's very tricky. I'm a big believer in investing in getting poor countries to be self-sufficient in terms of health improvement, which leads to reduced population growth. I don't think there's anything that's unique to the AIDS-ravaged countries. What has been the most important health-care innovation from the Gates Foundation? Of what are you most proud? The biggest-impact thing we work on is vaccines--in particular, hepatitis B and Hib. [The Gates Foundation was instrumental in getting two vaccines into widespread use: one prevents hepatitis B, an infection that causes liver cancer in adults; the other prevents Haemophilus influenzae type B, a bacterial infection that causes meningitis and other life-threatening diseases during childhood.] In terms of saving lives, changing the rules, that's probably number one on the list. How many people is that expected to save? Well, every year you get to add about another 300,000 lives. It starts to add up. In vaccines, the effect is pretty incredible. The one that I hope to be able to add to that list which isn't there yet is polio eradication. We've gotten very involved, we've put a lot of money in, and we're fairly close. The last part is absolutely the hardest part. But the benefit to the world of that second disease eradication after smallpox, and the kind of energy that would create--it would free up money, it would energize the whole global health initiative. That's a big one. There's a couple of new vaccines that we didn't invent, but we're working on getting them to be low-cost and distribute them, get the culture right: the rotavirus and pneumococcus. Those together are about another 400,000 lives. Then you've got malaria, which is probably further down. There's various interventions to help reduce the AIDs epidemic, but those aren't there yet. You were a visionary in software and a highly effective software company executive. The two aren't always the same, God knows. Have you had to adapt your management style to the exigencies of the nonprofit world and international development, and is energy funding different again? How has your experience as a software executive and visionary translated into your post-Microsoft career? Well, I've had to learn a lot of new things, which I enjoy. I didn't understand much about vaccines or immunology or how they got delivered, or how they got funded. So I've gotten to meet a lot of people. There's a more political aspect to this in terms of the money that rich-world governments give and in terms of how well governed the recipient countries are and how they make things either easy or hard. We didn't have that complexity at Microsoft. The one thing we have that's great is that everybody has the same goal: saving the children's lives or improving their health. So you really don't have competitors in a sense. You get a level of cooperation when you can get everybody in the malaria community together and have them share their best ideas when there isn't a market for the vaccine. Same for TB. It's different from Microsoft. In some ways it's more like when Microsoft was 400 to 500 people. The foundation's about 700 people. You and Charles Simonyi created a software factory, this multigenerational software enterprise, where nothing like that had ever really existed before. It was a place where big programs could be developed and launched and maintained and managed over many decades. You were a kind of meta program manager at the center of Microsoft. But now you have to work with enormous numbers of people over whom you have no direct authority. You have to convince people, you have to work by persuasion, by a whole variety of different techniques. How many of the management techniques you learned at Microsoft are still useful to you? I think it's all useful. As Microsoft got larger, I couldn't threaten to code things over the weekend. I had to convince people and take the scenario I wanted them to do something with and articulate it in a very clear way, so I had to get good at doing that. I think over time I've gotten better at working with large groups and not being as impatient about cases where people only see part of the picture, and yet they're an important part of things. But it's very similar. It's working with smart people. Now, when I go up to northern Nigeria and meet with the Emir of Kano and enlist him in getting the religious authorities to promote the polio vaccine--now that's a different thing. At Microsoft, I didn't happen to go see the Emir of Kano for any software products. I view it as great preparation. If you said to me I could have any current advance that would expose me to a lot of things--failures, successes--I don't think I'd pick anything else. How has being a philanthropist broadened you in a way that your career as a software engineer did not? Well, I'm not trying to make any moral judgment about one versus the other. Believe me, when somebody's in their entrepreneurial mode--being fanatical, inventing new things--the value they're adding to the world is phenomenal. If they invent new technologies, that is an amazing thing. And they don't even have to know how it's going to help people. But it will: in education, medical research, you name it. So I was one of those fanatics in my 20s where I didn't know about poor people or even government budgets much at all. I worked night and day on software. I thought a lot about software. I said, "Hey, I'm a software fanatic. What is that about?" Even some of the marketing and sales things that I eventually learned, I said, "Hey, if the software's good enough, how far do you have to go?" Well, we certainly didn't build an IBM-style sales force; most of our customers we never met. We didn't duplicate the old model, but the truth of what we had to do was not quite as pure as I started out thinking. It wasn't "Hey, here's the software." So that's a great mode to be in, but throughout the Microsoft experience, whether it was piracy or privacy, policy, or whatever would come up, I got down the learning curve because Microsoft was in a position to hire incredible people. I got to see how they did things. They wanted me along because they thought I would be paid attention to and could be articulate about the software. So in my 20s I was almost just a developer and a fanatic; in my 30s, I got exposure to management, although I was still writing some of the code; then in my 40s, the majority of what I was doing was large-organization management and picking some strategies, but I didn't write any code that shipped in products. Now, in my 50s, I'm in a role that's kind of like that. I like that my relationship to some of these development teams is like a smaller Microsoft, because for better or for worse, when you have all the TB experts in the world in the room, the room is not very full. That's about 10 or 12 people that you're sitting and talking to about the TB vaccine. 'Rocks in Balance,' one of the many artworks utilizing rocks made by upper W. Sider Bridget Polk (below), who has spent the past year making sculptures from the heavy objects she finds. To some New Yorkers, Bridget Polk is simply "the Rock Lady." They may not know her name, but the upper West Side resident has developed a cult following in the past year as she crouches near the bank of the Hudson River, performing a seemingly impossible feat - rock balancing. "It's fun, it's spiritual, it's attention-grabbing," Polk said as she showed off her skills on a windy, autumn day. "It moves people, and therefore it moves me." Polk balanced her first rock a year ago and has become addicted to the practice. She has spent countless weekends beside the cycle path on the Hudson River, near W. 110th St., patiently picking up rocks of all shapes and sizes and balancing them on their smallest point. Sometimes she leaves dozens suspended in place and then stands back as passersby either stare in amazement or knock the rocks over to prove they are not glued in place. "The best part is the response and interaction," said Polk, who works as a personal assistant. "It's simply fun, it's instantly gratifying - and I feel like I'm making a contribution to people's day." Polk, 50, is reluctant to describe her work as "art" but believes it is a skill anyone can acquire. Her New York rock-balancing days are numbered, however, since she and her partner are moving to Portland, Ore., in December. Yet Polk has taught some of her most intrigued admirers the secret to the craft and has already seen some copycats, giving her hope that the practice may live on in the city even after she leaves. "It's not a magical power, it's gravity and it's very simple," she said. "It just takes patience and sensitivity." Each March, Washington’s Headquarters State Historic Site recognizes a woman who has distinguished herself in the field of Hudson Valley history by bestowing upon her the “Martha Washington Woman of History Award.” Appropriately, the award emanates from where Martha Washington resided with her husband, General George Washington, during the last months of the Revolutionary War. That the ceremony takes place in March, during Women’s History Month, is indeed fitting. The Woman of History award acknowledges Martha Washington’s important place in history as a devoted patriot in support of the American Revolution and the ensuing new nation. This is the ninth year the award has been given, continuing the site’s mission to educate the public about the history of our great state and national heritage. We know there are many women who are dedicated to sharing and preserving our history. Perhaps you know of a woman who shares her love of history with children by taking them to historic places during her free time? Is there a woman who has done research about the Hudson Valley and has shared her findings to encourage others to do the same? Do you know a woman who has used her personal funds to preserve historic landmarks? These are just a few examples of what could qualify a woman to be a recipient of the award. As you can perceive, the nomination field is open to any woman who has cultivated interest and awareness of Hudson Valley history, either locally or nationally.Nominations must be completed and submitted by January 7th, 2011. The award will be given during a ceremony in March 2011. Click here for Nomination Form or call (845) 562-1195. If you watch New York's two NFL teams play, and if you read their press clippings, it seems fair to assume that the Giants are the staid team of the city's older ruling class while the Jets are the ascendant team of the people, beloved by all rambunctious kids. But according to a survey of New York sports fans conducted earlier this year for The Wall Street Journal by Public Opinion Strategies, appearances can be deceiving. 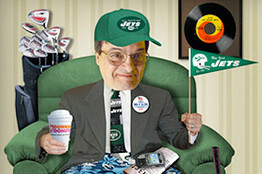 If the Jets have been hogging the headlines, it's not because they have a larger fan base. When asked to choose their favorite sports team, 38% of respondents picked Big Blue, compared to just 17% who favored Gang Green. Although the Jets have only been around since 1960 (the Giants were founded in 1925), the Jets fans skew older. Nearly a third of Giants partisans were younger than 34 while only 15% of Jets fans said the same. Jets fans were 26% more likely to be married, 38% more likely to describe themselves as white, 86% more likely to be Republicans and 44% more likely to earn more than $100,000 a year. They showed more interest in boating, tennis and golf than Giants fans did. And although the two fan bases seem to enjoy beer in nearly the same measure, Jets fans were 33% more likely to pour themselves a glass of wine. When you drill down into the numbers, another pattern emerges: Jets fans seem to have an uncanny interest in things that might have been popular in 1969, the year the Jets, led by Joe Namath, won their only Super Bowl. Today's Jets fans are 67% more likely to listen to the Beach Boys (15% said they did) and were also 58% more likely to listen to music on a record player. Robert Berg, a 49-year-old Jets fan from Manhattan, said he wasn't surprised Jets fans have these proclivities. "If you were nine, 10, 11 years old during that period of time, the Giants were nothing," he said. "The Jets were everything." Consistent with their youth, Giants fans were more likely to use social media, to blog, to own an iPhone and use mp3 players. "I hardly ever see anything on Facebook about the Jets," confirmed 22-year-old Giants fan Monet Williams, a graduate student from the Bronx. Giants fans also demonstrated more of an anti-establishment bent. Just over a third of Giants backers (35%) said they had smoked marijuana, compared to 27% of Jets fans. Giants fans were also 50% more likely to have a tattoo. 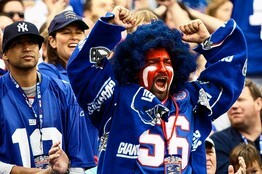 "Giants fans are rowdy, very crazy," declared 46-year-old Jets fan Julie Modesti. The Jets might also get carried away, "but to me the Giants are worse," she said. "They're crazy." One of the most significant differences of all was a slightly embarrassing one: the typical height and weight for each kind of backer. Giants fans fared a bit better here. They were more likely to be taller than six feet and to describe themselves as "skinny" while Jets fans were shorter on average and nearly twice as likely to describe themselves as "overweight." "That's hysterical," said Sheldon Sampson, a 44-year-old waiter from Brooklyn. "It would be a great conversation starter at a bar: 'You short, fat guy—you're the Jets fan?'" Both groups were equally likely to have graduated from college (54% in each case) but Giants fans seemed to have the edge in intellectual curiosity. They posted higher scores for reading books and visiting cultural sites. Mr. Sampson, the Giants fan, wasn't surprised by that result: He said he recently searched the apartment of a Jets fan acquaintance of his looking for a book, but he couldn't find a single volume. "I wasn't expecting 'Mice and Men,'" he said. "I wasn't expecting Dostoevsky. But at least have something." 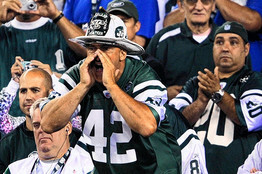 When it comes to general enthusiasm for sports, however, the Jets fans had a small edge—not just in the percentage who watch games nearly every day, but also in the number who follow sports other than football. Ms. Williams, the graduate student who likes the Giants, had a theory: It's because Jets fans are so old. "I feel like the older people are more into what they're doing," she said. "My generation is more laid back." Jets fan Stanley Hartz of Queens, who is 92, said he thinks the greater fervor among Jets fans reflects the players' spirits. "I root for the Jets because of my experience with the [Brooklyn] Dodgers," he said. "They were really enthusiastic. Now I see the same thing with the Jets." The Giants, Mr. Hartz said, "seem to be more commercialized." In the past couple of weeks, he added, "I think they're just throwing their games away."